Experience the fantastical adventures of the magical nanny who inspired the classic film, stage show, and young imaginations the world over in a whole new way. This illustrated gift edition features silver foil on the cover and beautiful artwork by Júlia Sardà that re-imagines Mary's London in rich, full color. 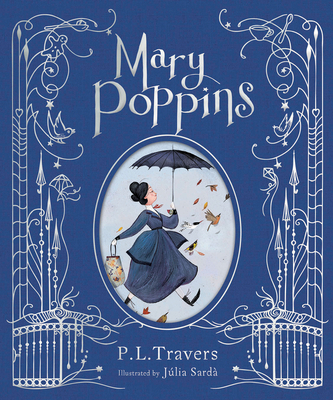 Ideal for the lifelong Mary Poppins fan or serious collector, this edition also makes for a lovely family read-aloud. Júlia Sardà has illustrated everything from classic children’s books to concept art for merchandise and video games. She lives in Barcelona. Visit her online at juliasarda.com and on Instagram @juliasardaportabella.